May 2016 | MMA Fighting Events Videos Techniques UFC Fight Picks and News. The fight card for UFC 198 is arguably the best so far in 2016. 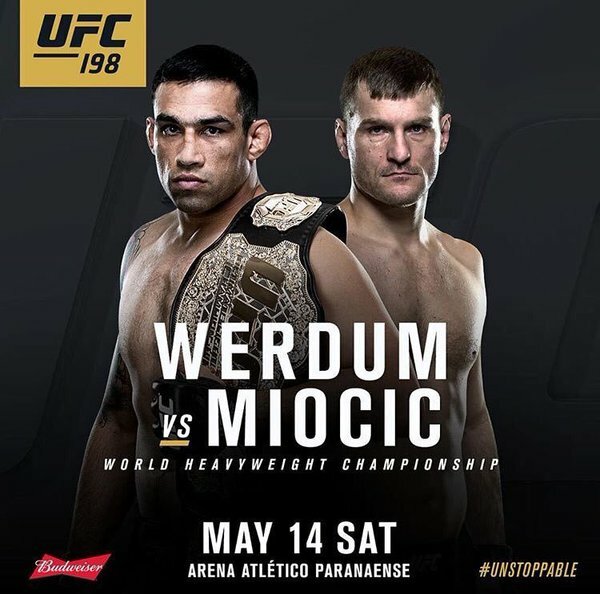 It will be headlined by UFC heavyweight champion Fabricio Werdum and number one contender Stipe Miocic. Werdum is out to prove that becoming the UFC heavyweight champion was no fluke! Miocic has been showcasing powerful chingasos and is establishing himself as a knockout artist. Taking out Werdum would be a nice feather in his cap and he would become the most feared fighter in MMA. Let’s take a closer look at these two fighters and then I’ll make my fight pick for UFC 198: Fabricio Werdum vs. Stipe Miocic. Stipe Miocic is coming into UFC 198 with an overall professional MMA record of 14-2. Ten of those wins have come via KO/TKO. He went undefeated in his amateur career where he finished off all 5 opponents in the first round via TKO. Most recently he’s coming off back to back TKO wins over MMA legends Andre Arlovski and Mark Hunt. Stipe Miocic can finish fights and he can do it quickly. His boxing skills are his bread and butter. He uses wrestling when needed to set up his striking and fight finishing combos. Add to that great conditioning, movement and angle set ups and you can see why Miocic is becoming a terror in the UFC. Will it be enough to defeat Fabricio Werdum and become UFC heavyweight champion? Fabricio Werdum is an MMA veteran and he’s fought the best of the best. He’s been in professional MMA since 2002 and has racked up a record of 20-5. Keep in mind that unlike boxing, every MMA fight is a tough matchup. More often than not, Werdum has matched up not only against another MMA fighter, but a great MMA fighter. Werdum has finished 16 of those 20 wins, 10 via submission and there other 6 via KO/TKO. Werdum is undefeated in the UFC since entering back in 2012. Werdum is an extremely intelligent fighter and finds a way to win. Fabricio Werdum is a world class submission artist, but what makes him even more dangerous is that his stand up seems to improve more and more every fight. With Werdum, there is no safe place. He can stand and bang with the best, but if the fight goes to the ground, you can wrap up that “W” because even MMA legends such as Fedor Emelianenko, Antonio Rodrigo Nogueira and Cain Velasquez have all fallen victim to Werdum’s submission game. Stipe Miocic has risen through the UFC ranks quickly and deserves this shot at Fabricio Werdum. He has the KO chingaso power, conditioning and skills to beat Werdum. But, Werdum has experience and an excellent grappling game on his side. 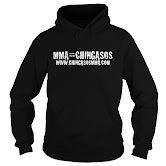 Werdum will be clever enough to avoid big chingasos and drag the fight along into the later rounds. Look for Werdum to frustrate Miocic and bait him into making a mistake. Werdums experience will take over and he will find a way to win. Who do you think will get the big “W” at UFC 197: Fabricio Werdum vs Stipe Miocic?